Yesterday was Bella’s first day of school. I know many of you in different parts of the country have been back for a while, but not here in NJ…back to school is always after Labor Day. Lots of moms around the country are now way busier than they have been in a few months, between school, sports, activities, and everything else that this time of year brings families. Which makes dinners like this even more valuable. On the table in 30 minutes, but it tastes like you spent all day slaving over a hot stove. Score! Beat egg in a small bowl with 1 tablespoon of lemon juice. Set aside. Mix flour and pepper in a shallow dish. Dip chicken in egg mixture, then flour. 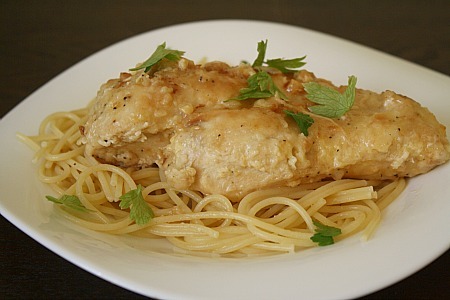 Melt butter in a large skillet and brown chicken. Add remaining lemon juice to chicken broth, then add to pan. Cover and simmer for 20 minutes, turning chicken halfway through. Garnish with fresh parsley, if desired. This entry was posted in chicken, Italian, lemon, main dishes, QuickAndEasy. Bookmark the permalink. This looks wonderful. I will definitely try it soon. But I thought Chicken Piccata always had capers an an ingredient? Or is that just how we do it on the West Coast? oh we use capers sometimes…my husband isn’t a fan so I usually omit them. Welcome to my blog! My name is Melissa. I'm a young-at-heart 40-something, born and raised in Northern NJ, right outside of NYC. Cooking has always been a passion of mine and I'm thrilled to share it with all of you! 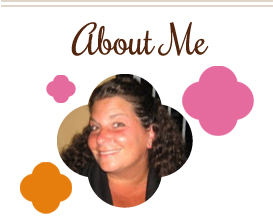 Visit Melissa Clare's profile on Pinterest.